No matter how far technology takes music away from it’s analog roots, one thing that seems to be irreplaceable is the live music show. And attendance at live music events is as big as it has ever been, with companies like LiveNation, TicketFly and StubHub taking the lead in streamlining the ticketing experience, large scale festivals like Coachella, Banaroo, Outside the Lands, Pitchfork, Lollapalooza, SXSW and many more making the festival experience into something to be cherished for years to come, and local venues around the country experiencing a resurgence in live music events. 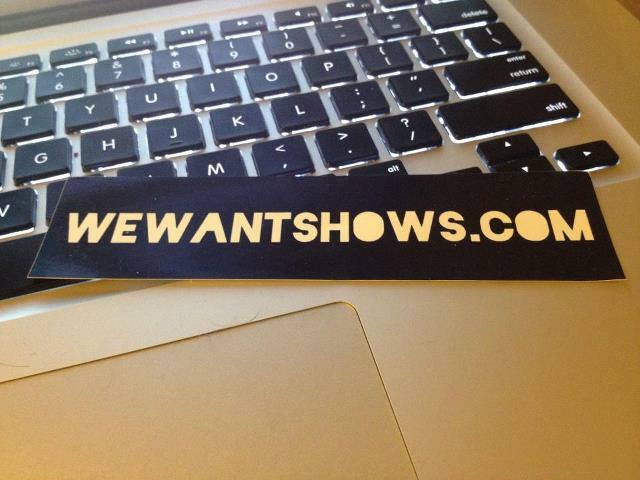 And one of the latest ventures to try taking the live music experience directly to the people is WeWantShows.com. A new project created by Matt Sparks, Musician, Developer and Designer from Lexington, KY, WeWantShows.com allows artists, musicians and band that want to communicate about and give information on their shows the chance to go on the open source website and choose from a total of over 160 cities and do exactly that. One of the most interesting and somewhat risky parts is that participants do not have to create an account or log into the site at all to be able to share or receive information, which is supposed to allow for easier use of the site. With a tag line of “Helping Bands find & trade shows”, this could be a new way for professional musicians to communicate with each other, network and share information about the most important way they make a living: the live show. WeWantShows.com seems to be the latest in a long line of sites that is helping to make music much more D.I.Y. and open source, much like websites like SoundCloud and Bandcamp allow artists to sell and distribute their music on their own. Could it be possible that We Want Shows can potentially be the SoundCloud or Bandcamp of the live show? It’s still very early to tell, but if the company is able to build a substantial foundation of capital and buzz among artists, there’s not telling what may be able to happen. This entry was posted in Blog Roll and tagged Live Music, WeWantShows.com. Bookmark the permalink.